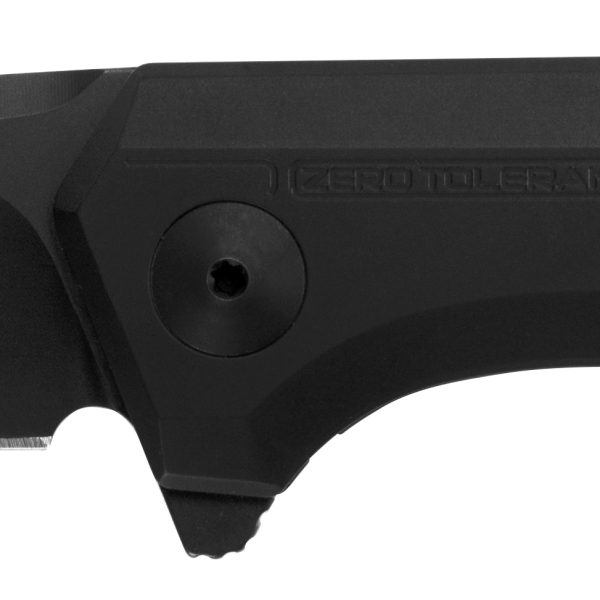 The Zero Tolerance 0808BLK is a collaboration between ZT and custom knifemaker Todd Rexford and is based on his Cesium model. But the technology here isn’t circuits and wires. Instead, it’s advanced-formula stainless steel and ZT’s smooth-as-silk KVT opening system. The 0808BLK’s blade is built of CPM S35VN stainless steel. This powdered metallurgy steel is extremely fine-grained so it can be sharpened to a razor edge. Added niobium and nitrogen enhance toughness to resist chipping and provide excellent edge retention. Yet it’s also easy to re-sharpen. Opening is fast and simple with KVT. Caged ball bearings surround the pivot to make the blade quick and easy to open using the built-in flipper. 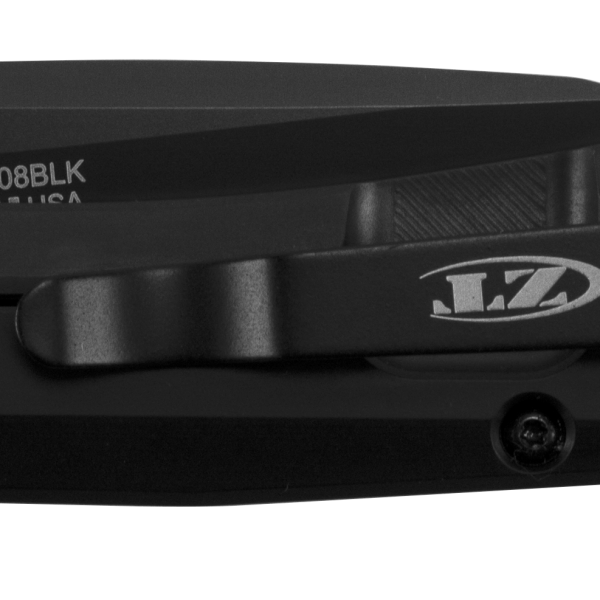 With KVT, the 0808BLK is as easy to open as any assisted knife, but without the need for a spring. The 0808BLK’s blade is paired with chamfered titanium handles that provide a solid, and very durable, grip. The sturdy frame lock has a hardened steel lockbar insert to offer extra-secure, extra-solid blade lock up. The reversible pocketclip enables you to carry comfortably left- or right-handed. Move over, iPhone. The 0808BLK deserves pocket space.